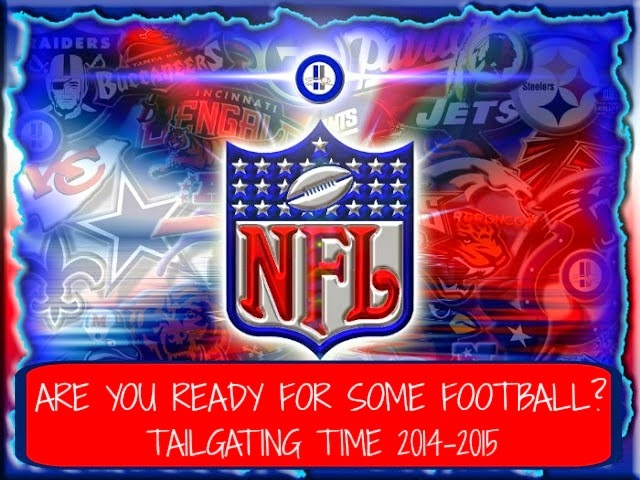 Don't forget about our upcoming Tailgating Time Link Up for Football. The season begins Thursday, September 4th, 2014. 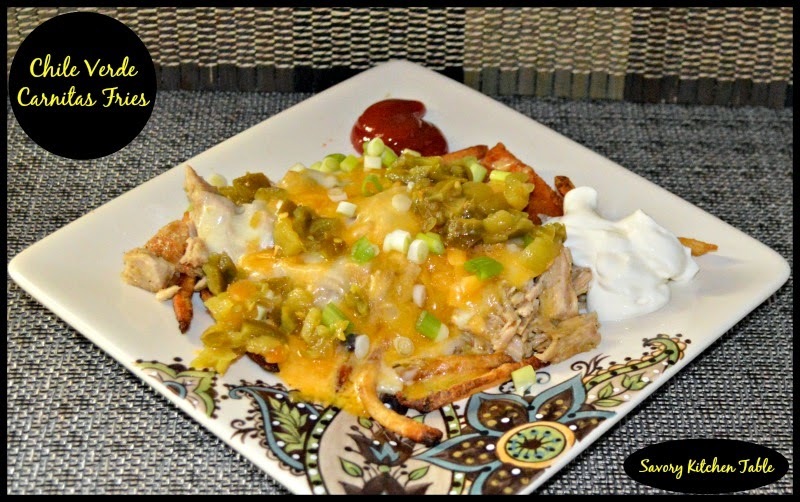 This recipe I made up after having lunch at one of our favorite restaurants BJ's Brewerhouse and saw something similar on their appetizer menu. I knew immediately it would become a football favorite! 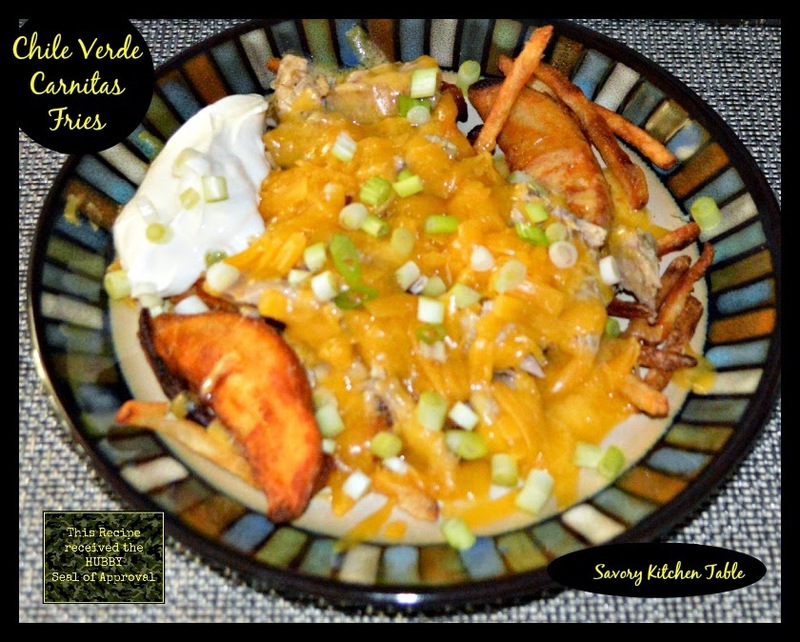 Assemble everything from the crispy thin fries through the cheese "Nacho" style. Bake in a preheated oven for 10-15 minutes to heat through. Add a dollop of sour cream and Jalapeno ketchup. Hubs likes his with pepper jack cheese. That is the beauty of this recipe - you can build to suit. Yummy! Definitely good football food!